[S2047] 1930 Crawford Co., Pa. Census. Death*: Dorsey Nocomis Johnson died on 20 September 1999 at FL at age 74 . Birth*: Elizabeth Johnson was born circa 1787 at NC. [S551] Unknown author, Warren Co. Death Notices from Raleigh Newspapers. [S11] Franklin Co., N.C. 1870 Census, pg 585. Birth*: Milley Johnson was born circa 1847. Marriage*: She married Samuel Fortner on 24 December 1867 at Surry Co., NC. Birth*: Noel Johnson was born before 1766 at NC. Marriage*: He married Nancy (?) before 1802. Death*: Noel Johnson died circa 1832 at Henry Co., TN. He was the son of Walter G. Johnson and Lily B. Roberson. Birth*: Sealey Johnson was born circa 1790 at NC. Birth*: William Johnson was born circa 1790 at NC. [S648] 1850 Claiborne Co., Tenn. Census, pg 303. 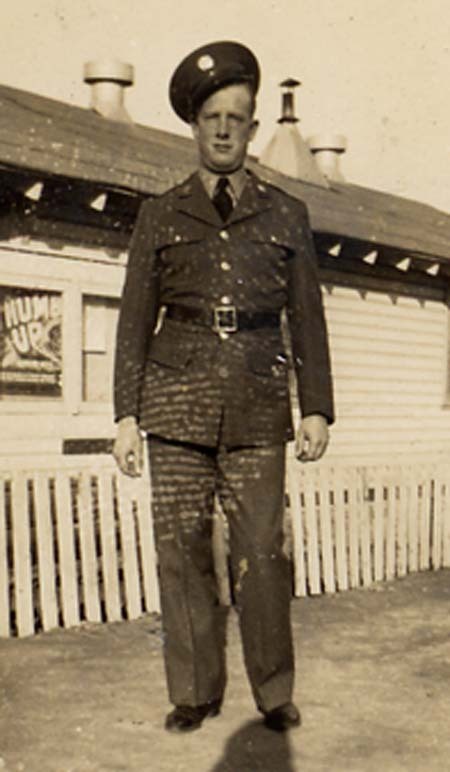 Alton William Jones at Fort Bragg, N.C.
[S988] Unknown compiler, "Baker, Aileen Jone Genealogy", Ancestral File. Marriage*: Barbara Joyce Bobbie Jones married Bobby Alexandria Ray Southern circa 1964. Marriage*: Barbara Joyce Bobbie Jones married (?) Teer after 1974. [S168] Unknown volume, Guilford Co., N.C. Register of Births, Guilford Co. Courthouse, unknown repository.